The questions inherent in our design process can range from: How do we make a text heavy booklet creatively engaging within a fixed number of pages? How can we make sure the design has visual impact with limitations on imagery and photography? How can we relay information in a clear and legible fashion but still captivate a reader? Mavo Studio have designed all kinds of brochures and booklets for various industry sectors. Further, we have cultivated working relationships with some of the finest printers in the UK, and our insatiable appetite for new print techniques keeps us exploring ever more innovative ways to spread your message. 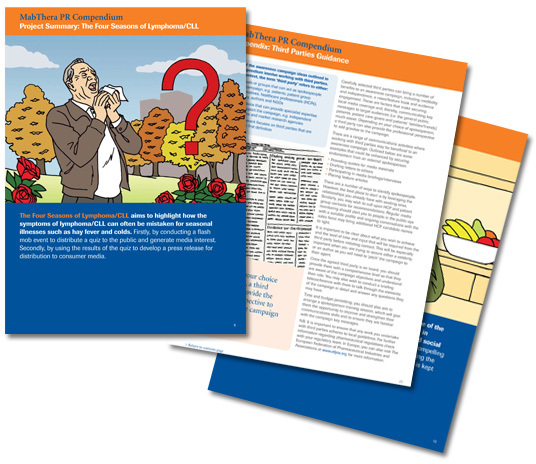 Brief: Design and illustrate the look and feel of a PR compendium to be used by marketing teams for Roche (globally) to help support ongoing PR campaigns. 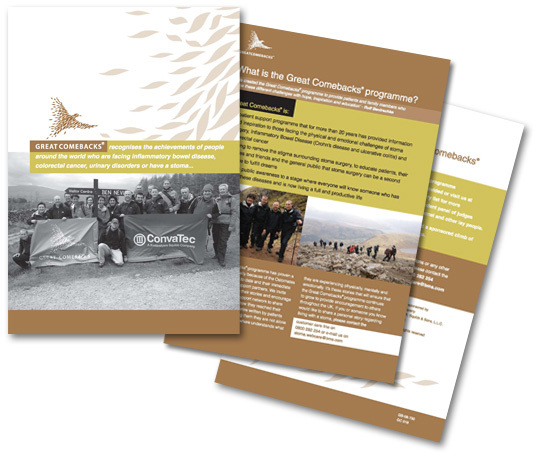 Brief: Design a handout booklet to help launch the aims and mission of an education charity to a global audience. Brief: Create the look and feel of a brochure for a Great Comebacks campaign (for sufferers of mild to chronic bowel disease). Design should be sensitive to a pre-existing brand style. 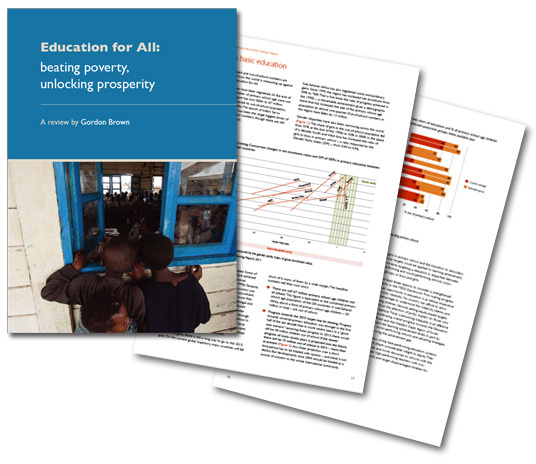 Brief: Design a 50 page report on education to be presented to an audience of world leaders and influencers.